To celebrate the 21st anniversary of their debut release, Blur’s fourth album The Great Escape has now been remastered from the original tapes by Frank Arkwright (The Smiths, Arcade Fire, New Order, Joy Division), with the remastering overseen by legendary original producer, Stephen Street. Whilst Parklife took Blur stratospheric, The Great Escape maintained the band’s success with their second successive No 1 entry into the album charts, with the September 1995 release going on to sell three times platinum. Accompanying the remastered album, the bonus disc of The Great Escape Special Edition crams in 18 tracks, including all the b-sides from all formats of the Country House, The Universal, Stereotypes and Charmless Man singles. Among these b-sides are nestled a duet version of To The End between Damon and Francoise Hardy, the Live It! remix of Entertain Me and four tracks taken from the now legendary 1995 Blur gig at Mile End Stadium. Completing the bonus disc are two live tracks from Blur’s show at the Budokan arena in Tokyo (both of which were only previously released on the Japanese-only single release of It Could Be You), plus the instrumental Eine Kleine Lift Musik, which originally formed part of the Help War Child compilation released in 1995. The Great Escape Special Edition is housed in a deluxe lift-off lid box with four exclusive Blur artwork postcards and an expanded booklet that includes previously unseen photos and liner notes based on a brand new interview with all the band members. To celebrate the 21st anniversary of their debut release, Blur’s fourth album The Great Escape has now been remastered from the original tapes by Frank Arkwright (The Smiths, Arcade Fire, New Order, Joy Division), with the remastering overseen by legendary original producer, Stephen Street. Whilst Parklife took Blur stratospheric, The Great Escape maintained the band’s success with their second successive No 1 entry into the album charts, with the September 1995 release going on to sell three times platinum. Accompanying the remastered album, the bonus disc of The Great Escape Special Edition crams in 18 tracks, including all the b-sides from all formats of the Country House, The Universal, Stereotypes and Charmless Man singles. Among these b-sides are nestled a duet version of To The End between Damon and Francoise Hardy, the Live It! remix of Entertain Me and four tracks taken from the now legendary 1995 Blur gig at Mile End Stadium. Completing the bonus disc are two live tracks from Blur’s show at the Budokan arena in Tokyo (both of which were only previously released on the Japanese-only single release of It Could Be You), plus the instrumental Eine Kleine Lift Musik, which originally formed part of the Help War Child compilation released in 1995. 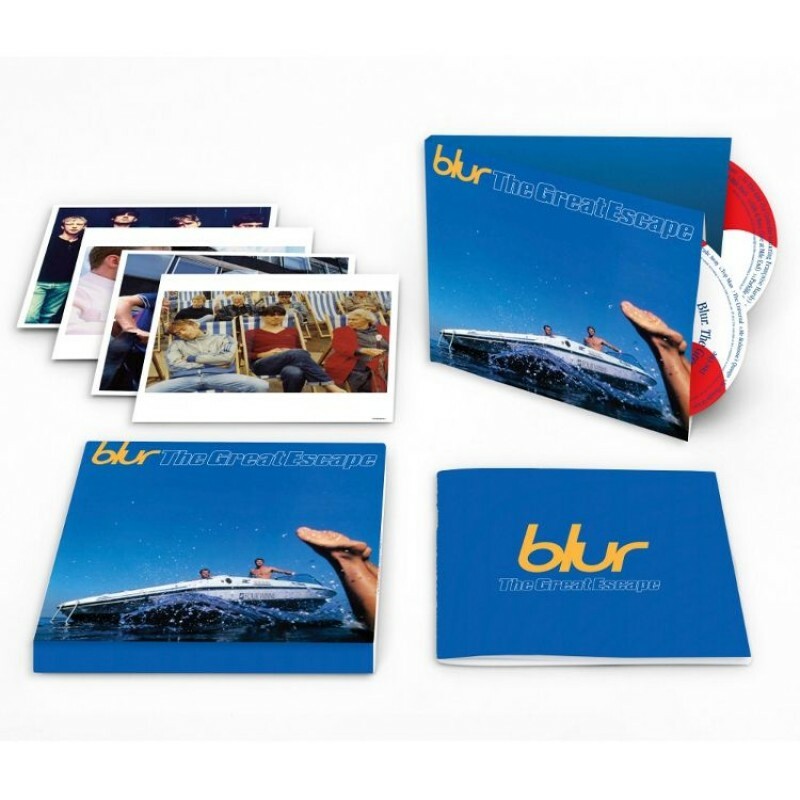 The Great Escape Special Edition is housed in a deluxe lift-off lid box with four exclusive Blur artwork postcards and an expanded booklet that includes previously unseen photos and liner notes based on a brand new interview with all the band members.